Hey guys! Today I have a beauty related post again! I'm really not a nail polish girl. I'm just not good at it. Always walking around with polish on my fingers and not on my nail you know... 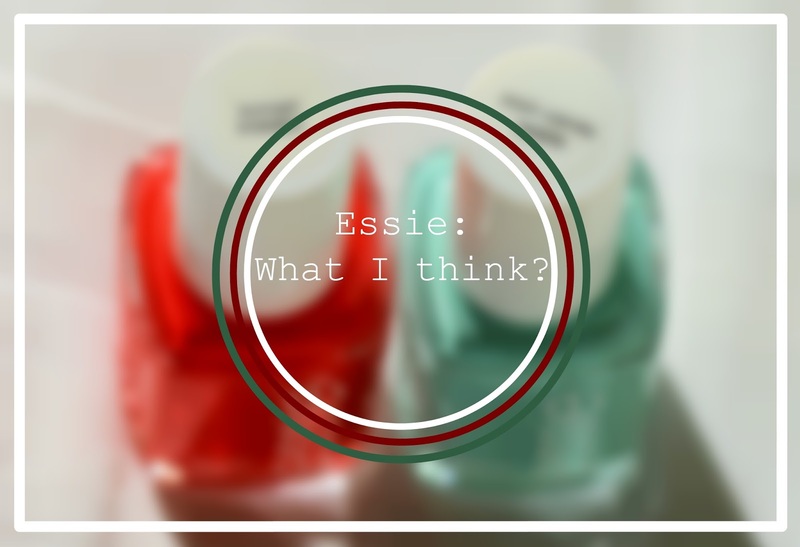 But for today I tried the brand Essie. 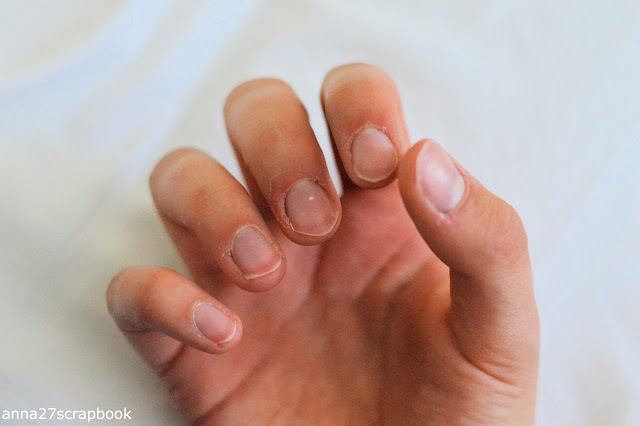 This is what my nails look without anything. I'm always busy with my hands. That's why they are a little rough looking I accidentally cut in my nail with a knife... Most of the time I've long nails though. I like long nails, but they are not easy. Why did I got my nails polished you're asking? 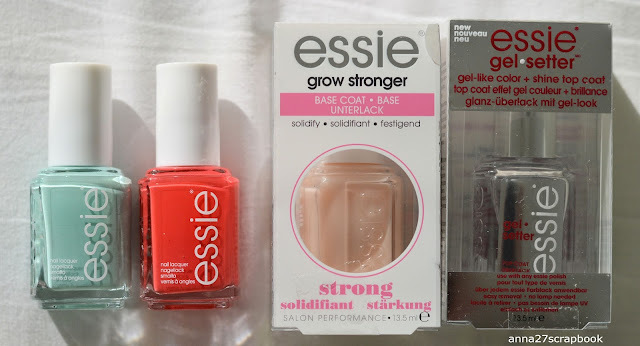 I went to Etos (a Dutch drugstore), and there was a woman who worked for Essie. She did my nails that's why they're so pretty ;) And I absolutely loved it! The colour which I choose for on my nails was Essie Jump in my jumpsuit. It's a burgundy red colour, my favorite in the fall/winter season! The polish stayed on for 5 days which I thought was pretty good! After the 'manicure' we bought 2 colours and these Essie grow stronger base coat & Essie gel setter top coat. 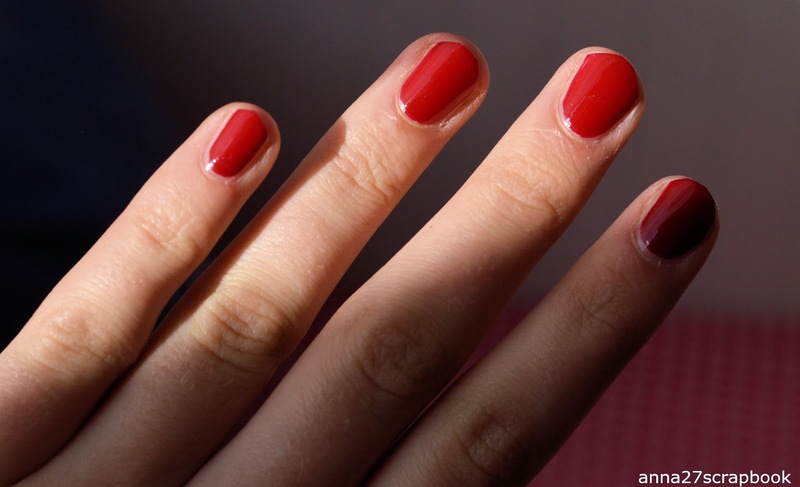 I really loved the gel topcoat, it stays on really nicely. And it feels really luxurious! The two colours that we bought are Sunset sneaks, a peachy summer colour. 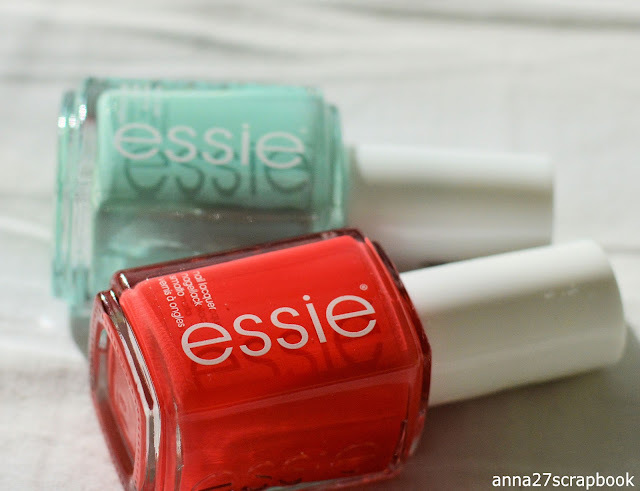 And Mint candy apple, the famous minty colour! My sister was having the mint on her nails and it looked so nice! I love them both and I'll try them out whenever I'm concentrated. Clumsy much? So, I hope you liked this little post! Have you ever tried an Essie colour, and what is your favorite? Let me know in the comments!